Casita Verde This Spanish-style room has a private bathroom with walk-in shower. The kitchenette includes dishes, tableware, coffee pot, microwave and refrigerator. The queen size bed includes imported comforter and high thread count sheets making for a comfortable night stay. Sleeps 2. Cotton robes, wifi and Apple TV. 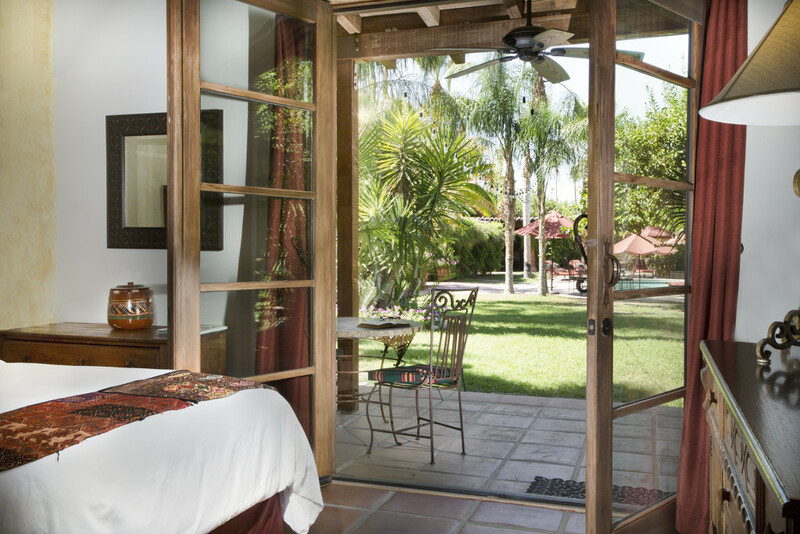 This room has a lovely patio area overlooking a lush green yard and the warm saltwater pool. Located in historic Old Las Palmas neighborhood of Palm Springs. 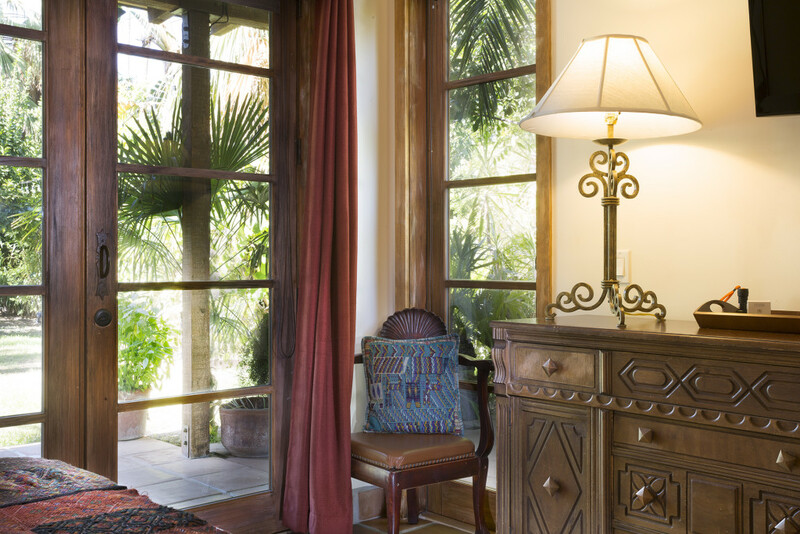 Casa de Monte Vista is 6 blocks from downtown Palm Springs. We have bicycles on the property available for leisurely rides around the neighborhood. Yoga class, local tours and massages are add-on options. Just ask! To inquire about casita rentals, please call (760) 272-0161.